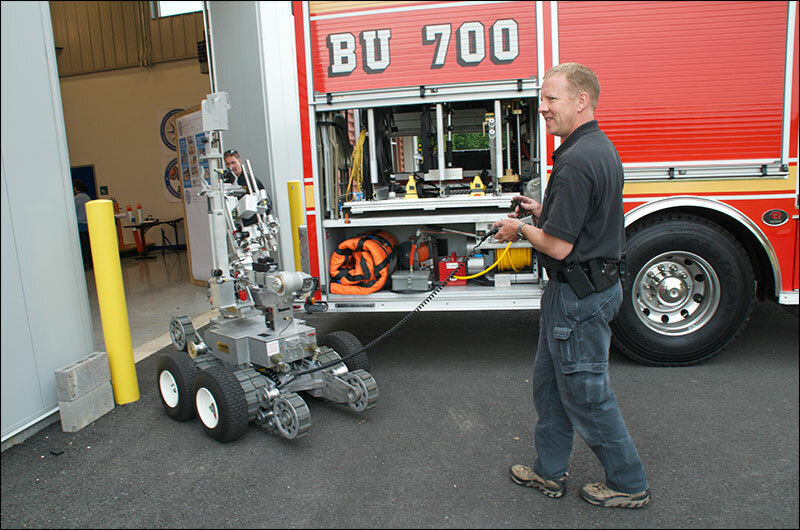 Montgomery County Bomb Squad Tests Robots at NIST! May 15, 2013 – A sign points the way to the National Institute of Standards and Technology's new Robot Test Facility in Gaithersburg, Md., where engineers collect performance data from test methods designed to mimic rescue scenarios for bomb and urban search and rescue robots. The NIST Law Enforcement Standards Office and the Department of Homeland Security support development of the test methods. 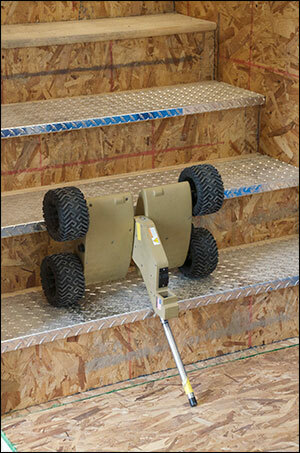 The test methods are published by the ASTM E54.08 Homeland Security Applications, Operational Equipment Subcommittee. 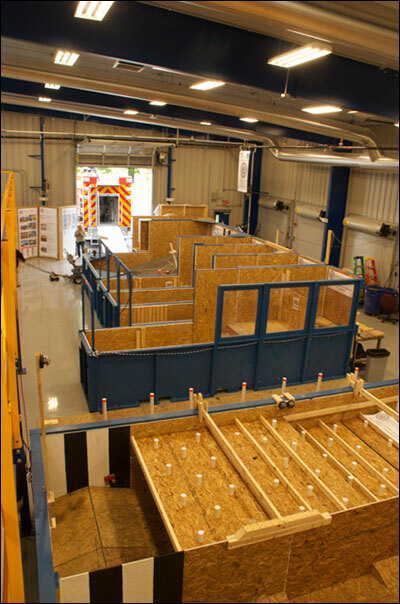 Below, the test facility contains an array of stations that simulate obstacles and challenges robots could encounter at an emergency or disaster scene. 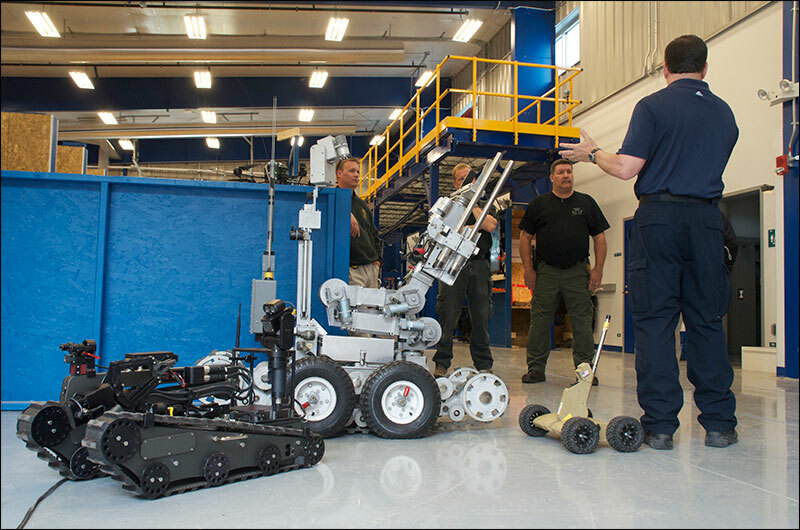 One of the first visitors to the NIST Robot Test Facility, the Montgomery County, Md., Bomb Squad supplied its fleet of bomb disposal robots to assist in collecting performance data to evaluate the robots' ability to meet the challenges presented by the test methods. 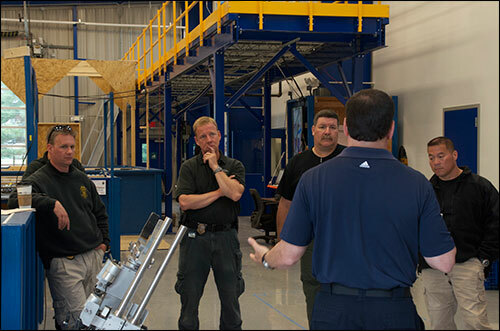 Adam Jacoff (right), NIST robotics research engineer, briefs members of the Montgomery County Bomb Squad on the test methods they can use in the Robot Test Facility. 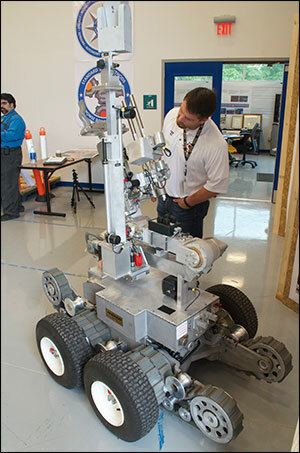 Matthew Hickman, Department of Homeland Security Program Manager, with a Remotec Andros bomb-disposal robot. Montgomery County Bomb Squad members prepare for a day in the NIST Robot Test Facility where they will use NIST-developed standard test methods for emergency response robots. These methods objectively evaluate robot performance and support development of advanced mobile robot capabilities. 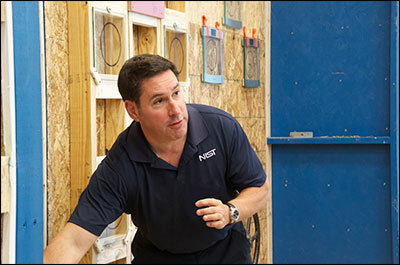 NIST robotics research engineer Adam Jacoff points out specific features of the test methods in the Robot Test Facility. 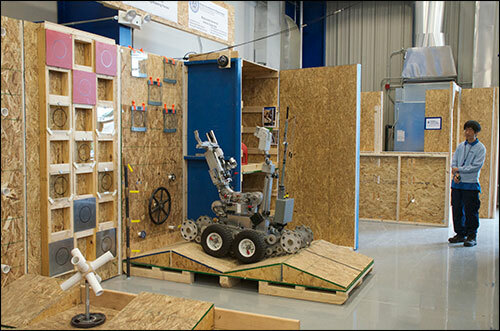 The test methods in the facility present robots with challenges similar to those they would encounter in an emergency or disaster. Ann Marie Virts, NIST technician and test method developer, syncs test data from one of the robot tests at the Robot Test Facility console. Hui-Min Huang, NIST software/mechanical engineer, observes a Montgomery County Bomb Squad robot attempt to turn various sizes of valve hand wheels in the Push/Pull/Rotary Forces test method. 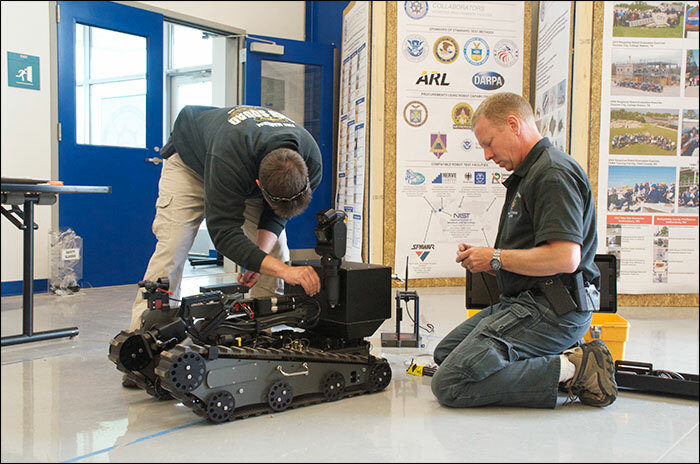 Development of test methods at the NIST Robot Test Facility is funded in part by the NIST Office of Law Enforcement Standard's Counterterrorism and Response Technlogies program.